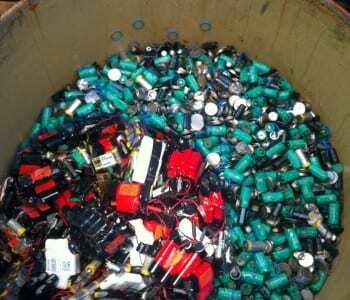 We provide a battery recycling service. Batteries are classed as a hazardous waste stream and with our background and expertise in hazardous waste disposal, we are ideally placed to provide a safe, clean and efficient battery disposal process. We collect and transport batteries in full accordance with ADR regulations and all other appropriate legislation. All batteries are processed at our licensed facility.